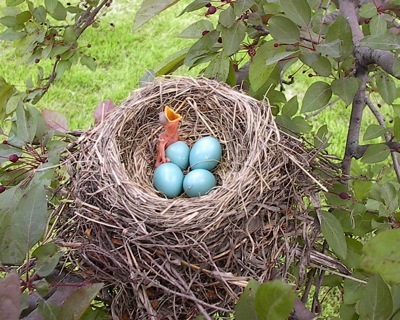 The first of four robins hatches from its egg, surrounded by a mystical nest of intertwined branches. More than 100 years after her death, the obscure romance writer’s words still ring true as eyes unearth their own visual feasts. It is within that beauty where one often finds art. As Sioux City’s annual ArtSplash Festival kicks off this Labor Day weekend, art aficionados will once again trek to the Anderson Dance Pavilion for some family entertainment and to search for what they have come to expect: featured artists from around the country with arts and crafts for sale. For those paying close attention, however, the art may find them first: the cracked windshield making a rainbow as the sun shines through, or even the label on the can of soda sitting in the car’s console. It is “unexpected art” — the kind we find in our everyday lives but seldom take note as art. In “American Beauty,” the Oscar award-winning 1999 film starring Kevin Spacey and Annette Bening, the movie trailer’s narrator invited the viewer to “look closer.” Through the young character Ricky Fitts (played by Wes Bentley), one sees that beauty is indeed all around us, if only we take time to look, and look closer. Eye catching labels help the consumer identify the product and express individuality with art. For more information on wine or cigar labels, visit www.instoneinc.com. Art, like beauty, takes on many shapes, sizes, colors and forms. Unexpected art can be anything from a dazzling sight that suddenly catches our eye to something we’ve seen dozens of times but all at once witness with newfound acuity. Nature provides us ample opportunity to appreciate its basic handiwork. Few have not seen a baby robin in a nest. A closer inspection reveals multi-layered details: a reflection of sun bouncing from the sky-blue eggs, a nest of loosely woven twigs and branches at the base spread out for reinforcement, and the top of nest wrapped as tightly as a ball of twine. Sturdy branches of green and red leaves buttress the nest from high summer winds. 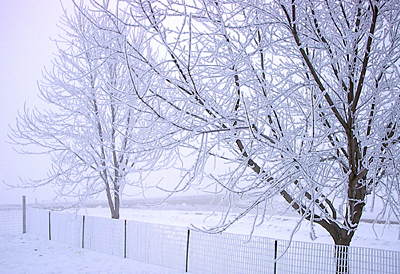 With the winter comes tree riming, when ice crystals fall from a cold layer aloft and converge with supercooled droplets below. The particles break and splinter, resulting in different sized crystals that adhere to the tree on contact. The result is a picturesque postcard of a sparkling crystallized tree. Unexpected art is carried into households on a regular basis, and almost just as quickly tucked away in cabinets and drawers. It is as close as the soup can on the second shelf or the bottle of fabric softener in the laundry room. As consumers we have grown so accustomed to our regularly purchased products that their labels merely serve as markers of what brands we normally buy. Yet some of the highest quality art resides on those very product labels. The labels and the packaging are likely what inspired us to try the product in the beginning. Two image-oriented product labels have been admired and studied for centuries. Wine labels range in artwork from wild horses to Ancient Egyptians, while cigar wrappers depict everything from the bald eagle’s freedom to gold diggers striking it rich. Collectors of both cigar and wine labels often pay top dollar for original decals. Art & Betsy Stratemeyer have devoted their website “Strat’s Place” to wine, gardening and the arts, and with their reader’s help have posted thousands of historical and contemporary wine labels, including those unusual and handmade. In addition to U.S. labels they also include striking labels from Germany and New Zealand, as well as Australia, France, Italy and Spain. They dedicate a special section to Mouton Rothschild’s artwork, from 1873 through 1999. For consumers who have yet to sample a specific wine, labels draw them in with elaborate colors of blues and bronze, and reflect the “luxury status” of some using silver and “rich” gold. Others project peaceful imagery of isolated vineyards. The 1990 Napa Valley Cabernet Sauvignon Reserve from the Robert Mondavi Winery features a sketch of the winery’s entrance against a backdrop of rolling hills and mountains. The 1997 La Sirena Sangiovese portrays a blue mermaid holding a golden spear with gold lettering wrapping above her like an enveloping ocean top. The printing on labels also defines the product and is no accidental artwork. When the Egyptologist Howard Carter entered King Tutankhamen’s tomb in 1922, he found 26 years whose labels were written in a simplified form of hieroglyphic with names of the vineyard along with the chief vintner. Lettering often is bordered with handmade pictures of everything from vines to the type of grape. Cigar makers use these same techniques, combining various forms of gold lettering with photos of tobacco fields or art that defines American culture. The colorful recreational designs help sell the public one of life’s basic pleasures. InStone, Inc. out of Encinitas, Calif., dedicates its website to fine cigar label art while appealing to the advanced collector. Like Strat’s Place, InStone also invites viewers to submit unusual artwork or labels not already featured on the site. Collectors have more than a few from which to choose; at the turn of the 19th century more than 350,000 brands were marketed in the United States alone. Even some things as simple as a winter’s day can create a picturesque scene. To experience art in all its forms and colors is to gain a better understanding of one’s self. Unexpected art, and where we choose to find it, reflects our goals and values and how we define our own American beauties. Looking for unexpected art can be as simple as a visit to our own back yard or a trip down the aisle of the local grocery store. The beauty is there in our lives every day, waiting only for beholders. Look, and then look closer.